Come join us and enjoy the “flavors” of one of Harlem’s most desirable neighborhoods, Hamilton Heights! 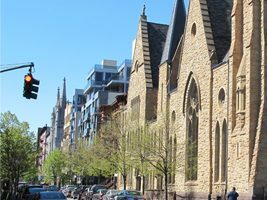 On Sunday, June 24th, Amsterdam Avenue, between 141st and 139th Streets, will be closed for the first time in recent memory, to bring together residents, visitors, businesses and the arts communities in West Harlem to enjoy and celebrate the cultural and historic fabric of West Harlem and the things we love about Hamilton Heights! Activities begin at 12 Noon through 5:30pm. Come early and enjoy the festivities. RSVP for chance to win a $50 restaurant voucher towards your meal at one of the participating restaurants. You must be present to win.